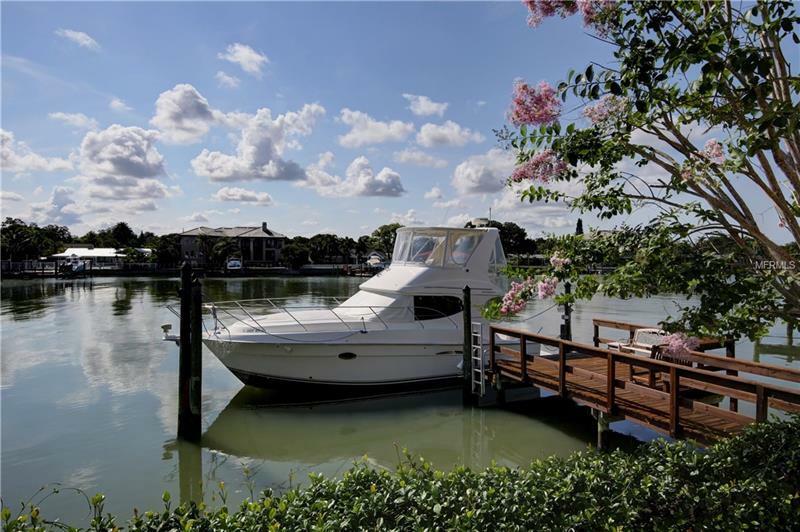 Ideal for anytime boating! Protected deep water! 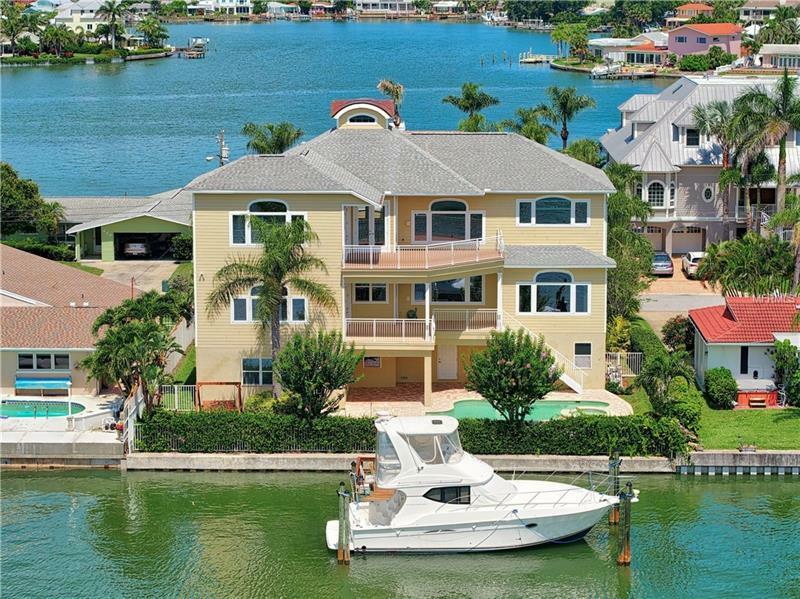 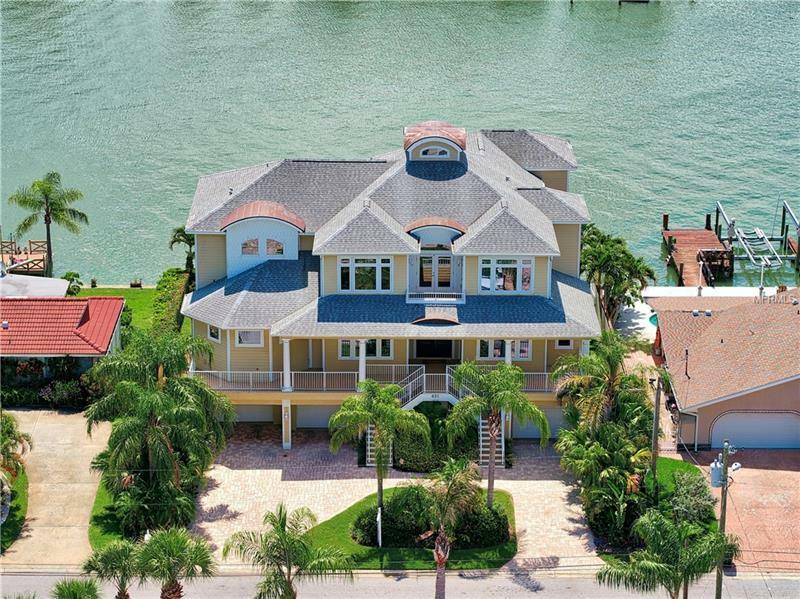 Key West design with porches overlooking the waterfront makes year round entertaining a delight. 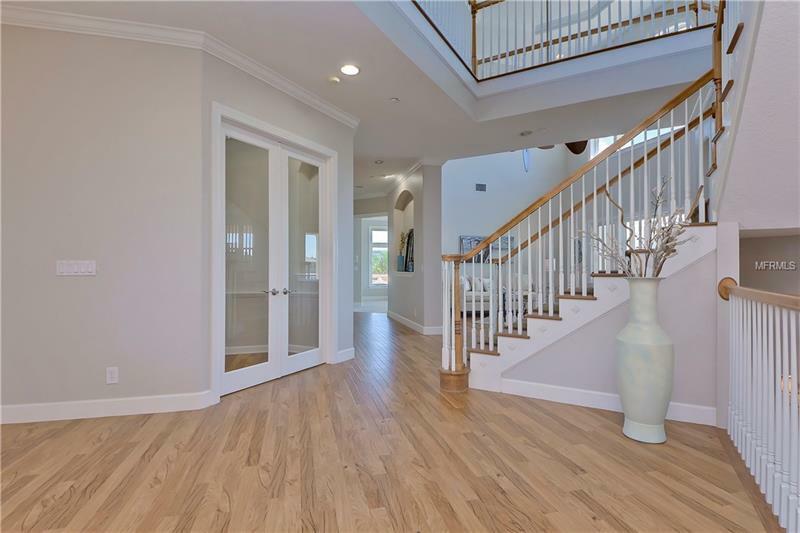 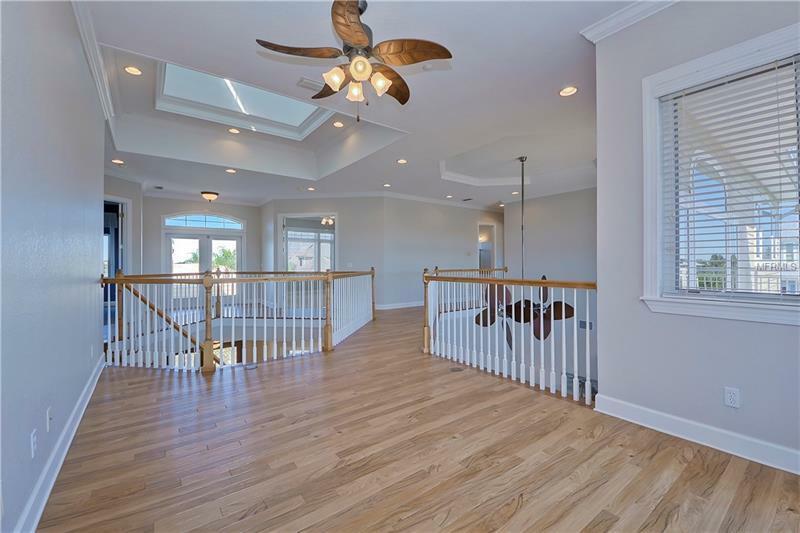 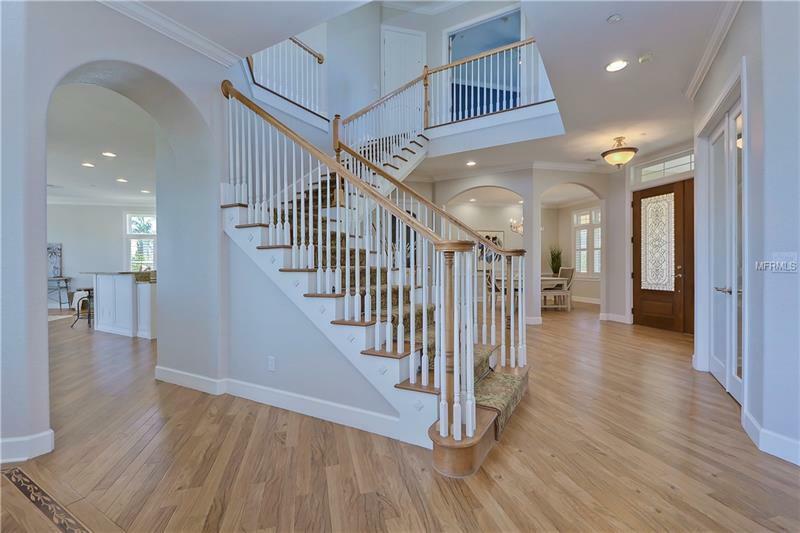 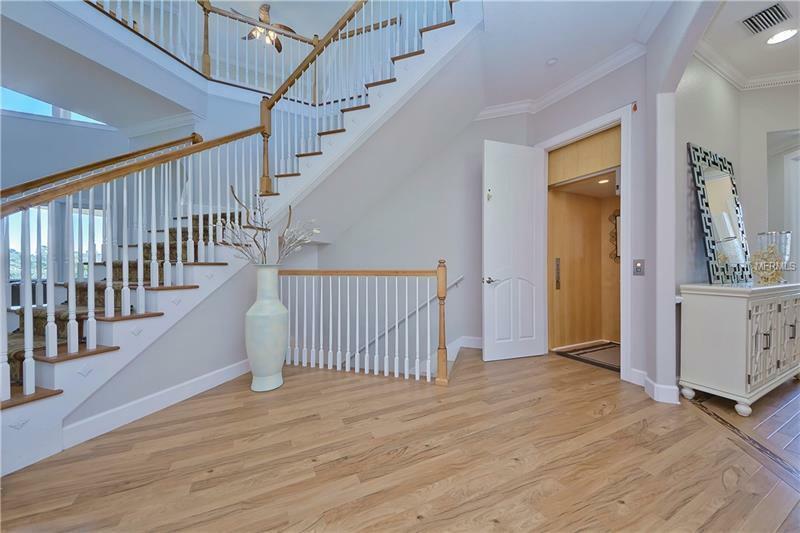 The Grand Foyer features skylights and soaring ceilings adorned with crown molding. 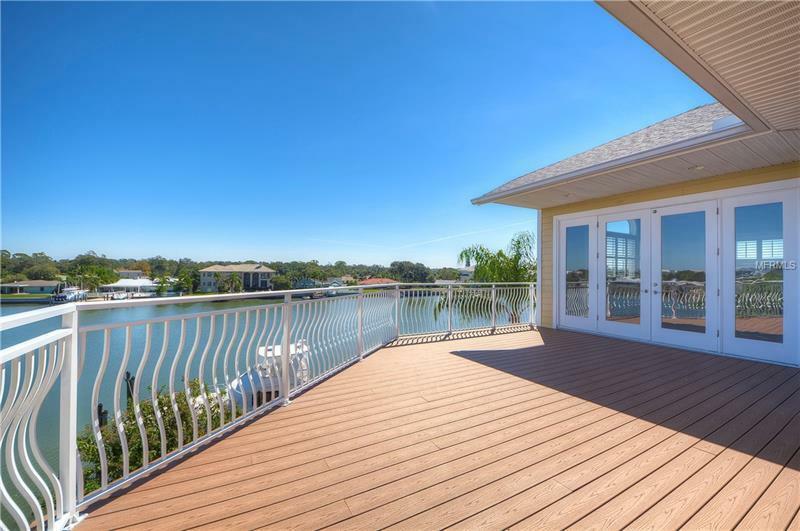 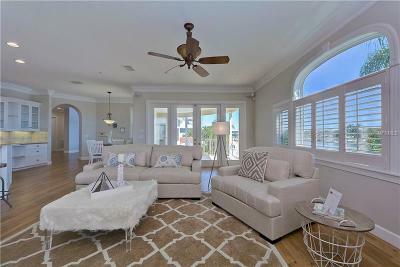 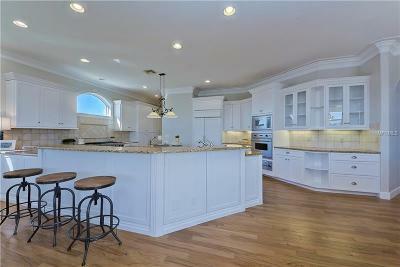 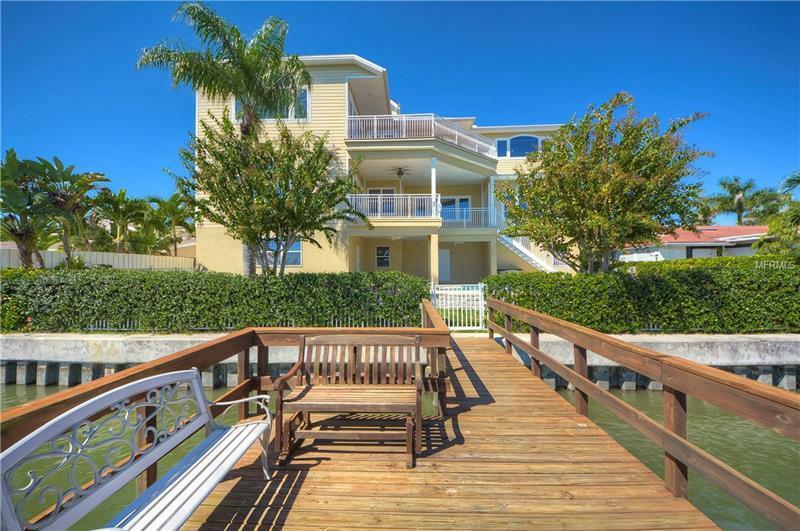 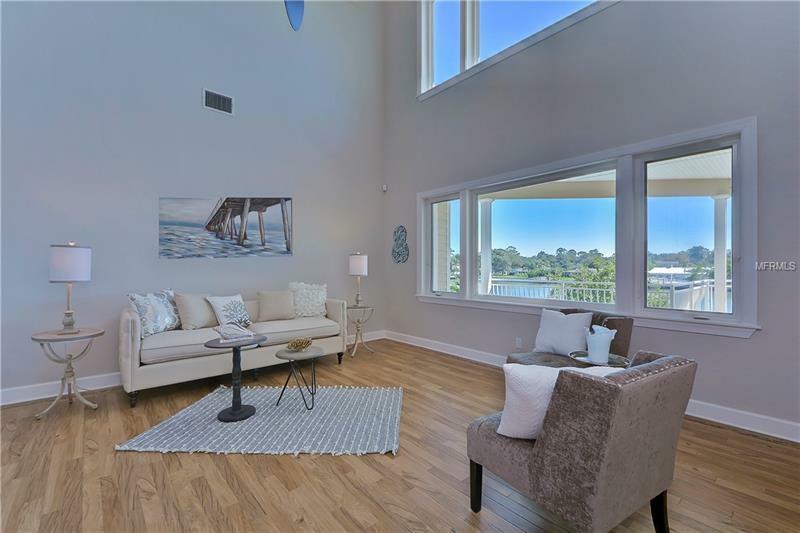 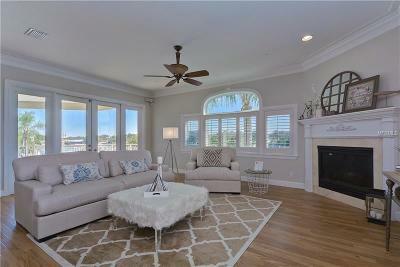 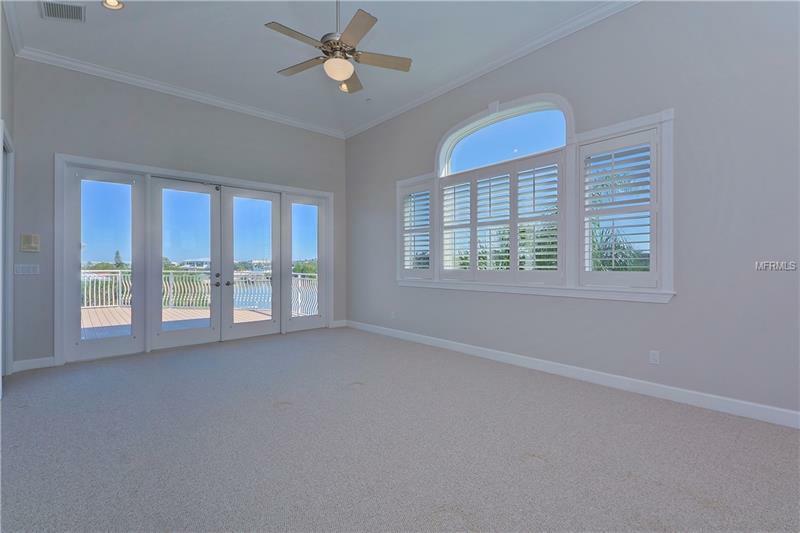 Light and bright with large windows that let in the ever changing water views & cool gulf breezes. 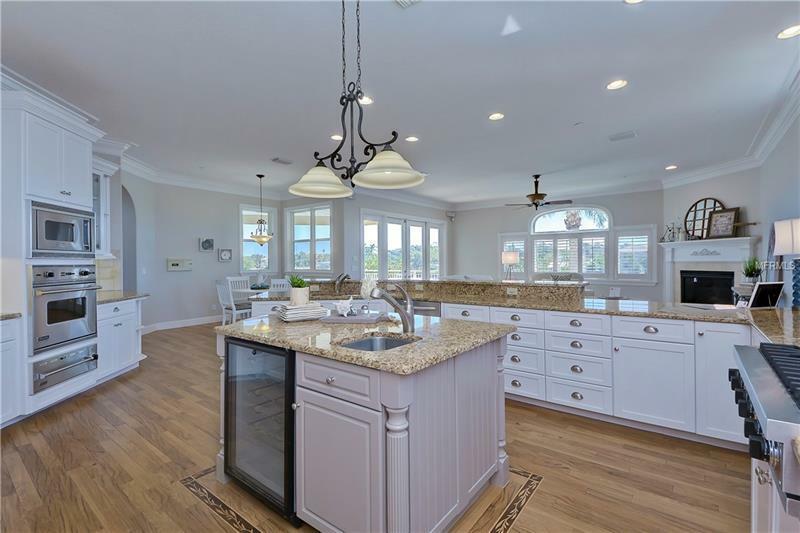 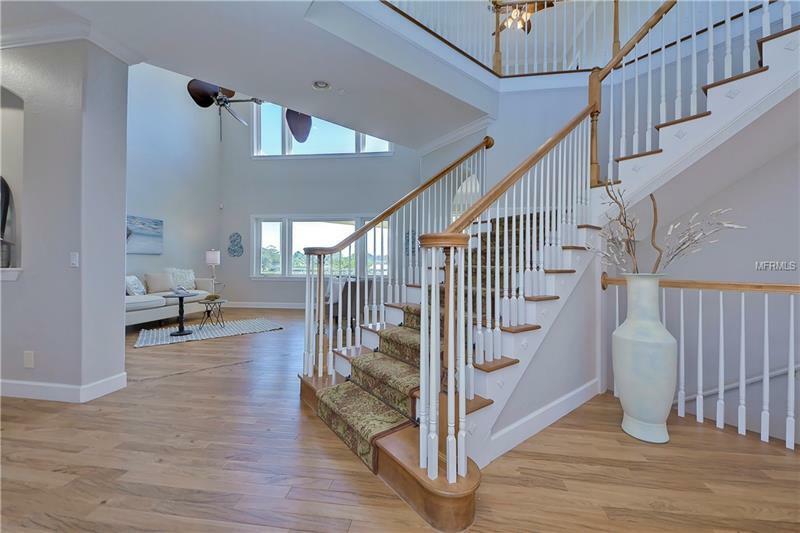 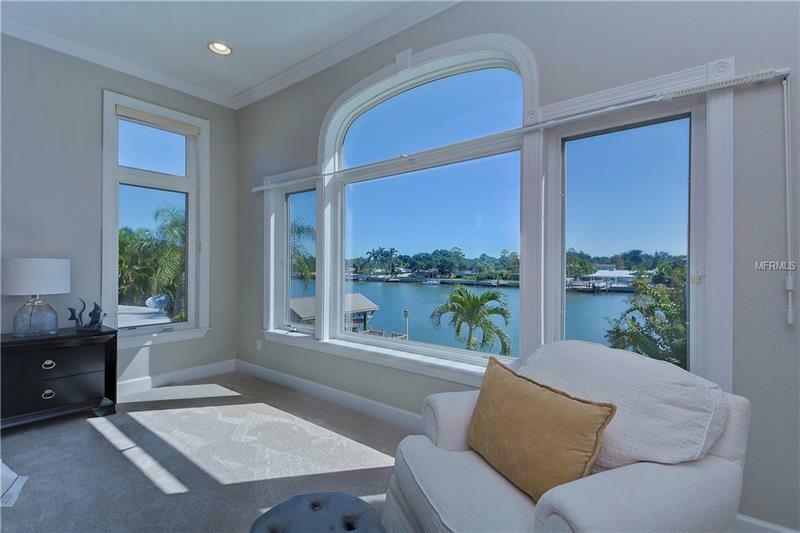 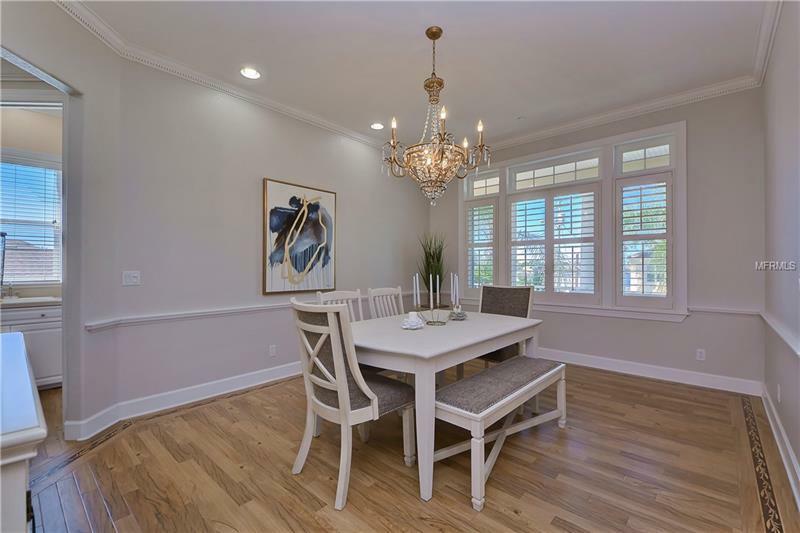 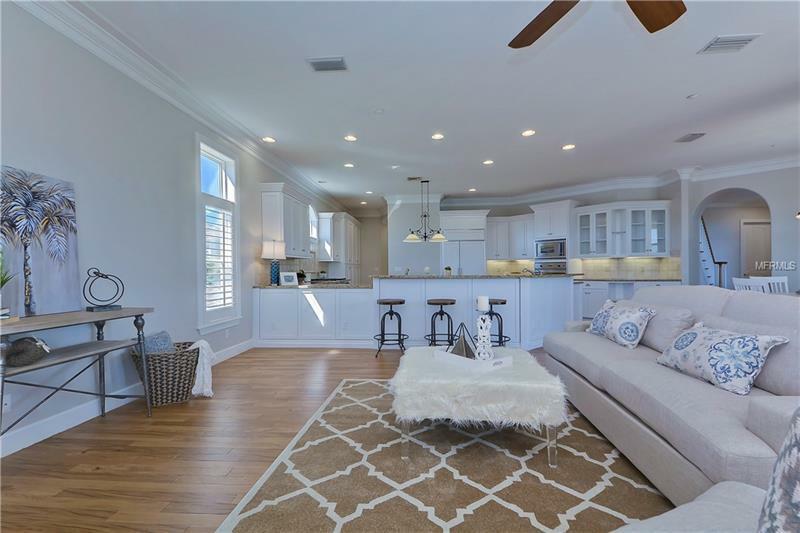 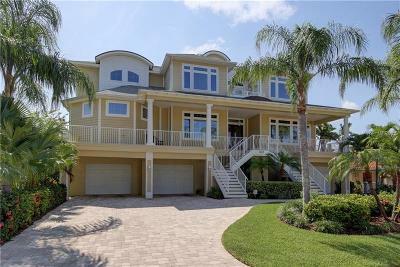 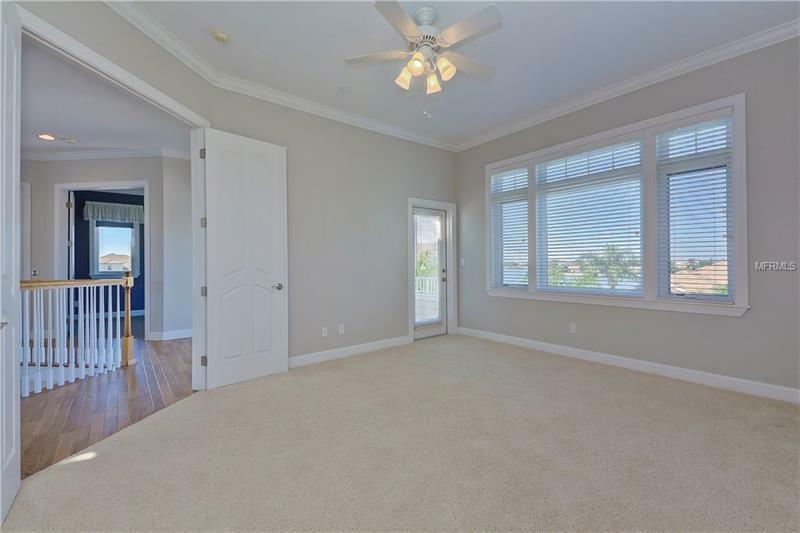 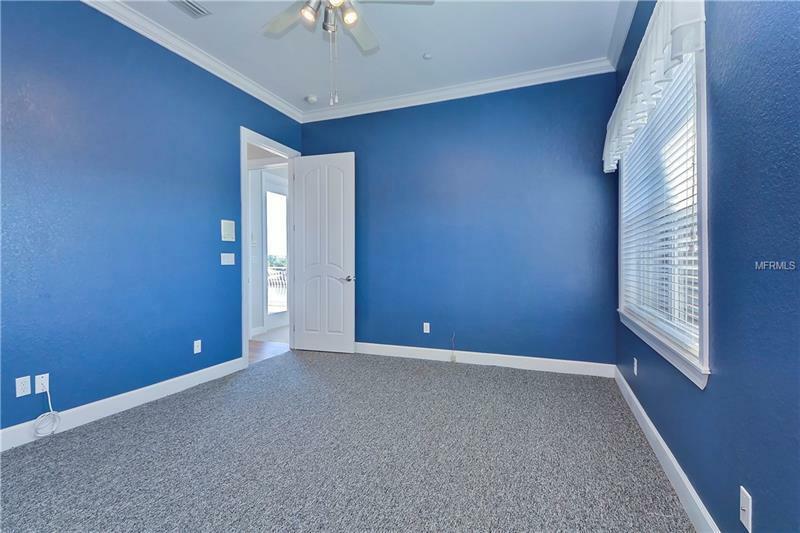 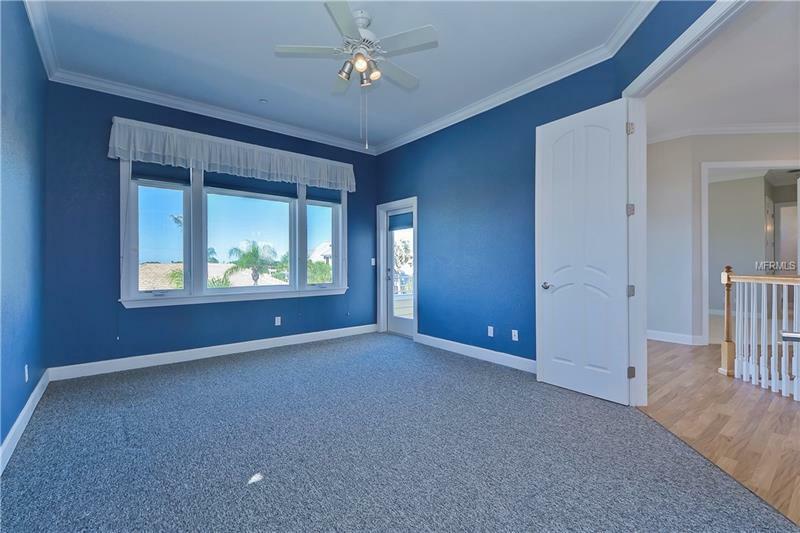 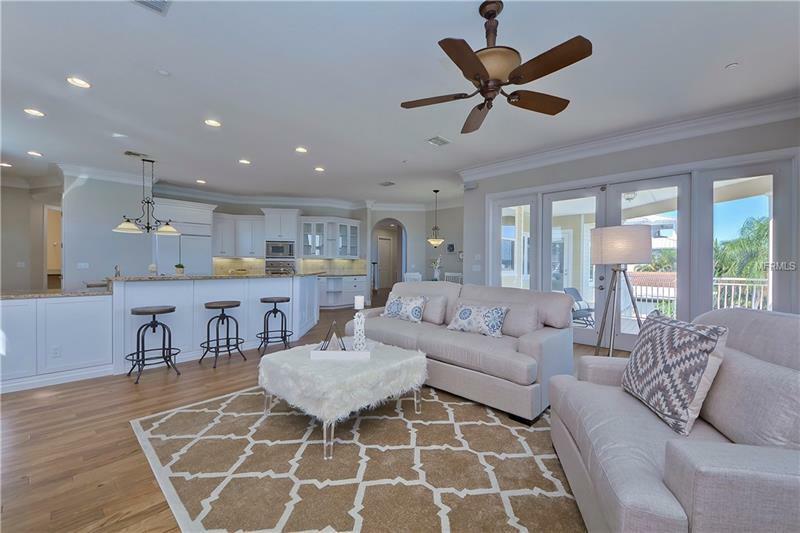 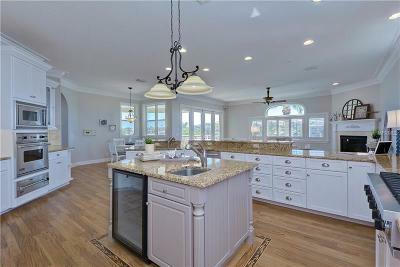 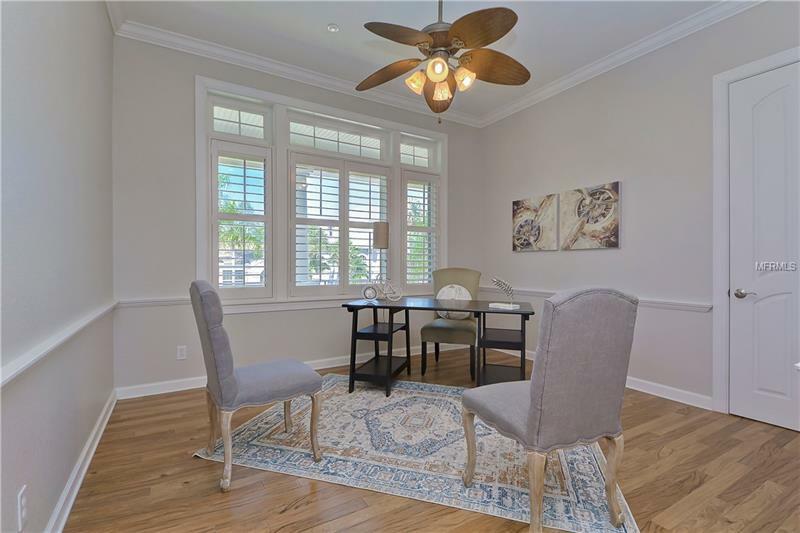 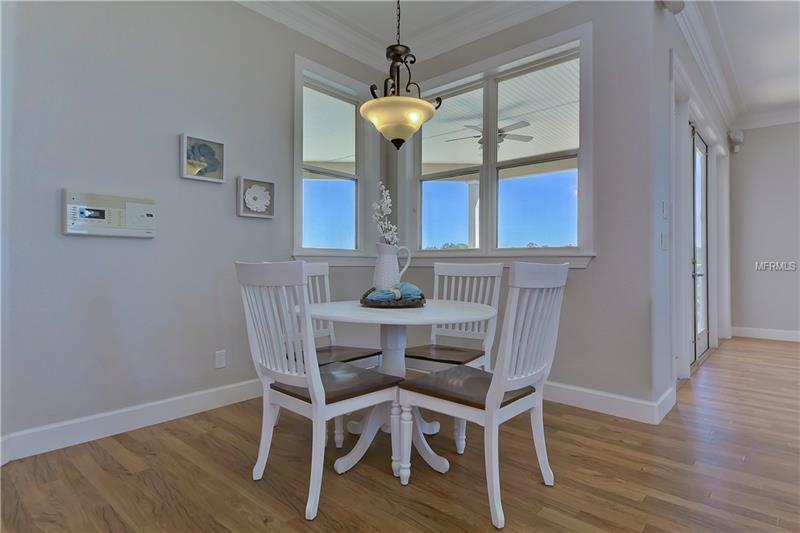 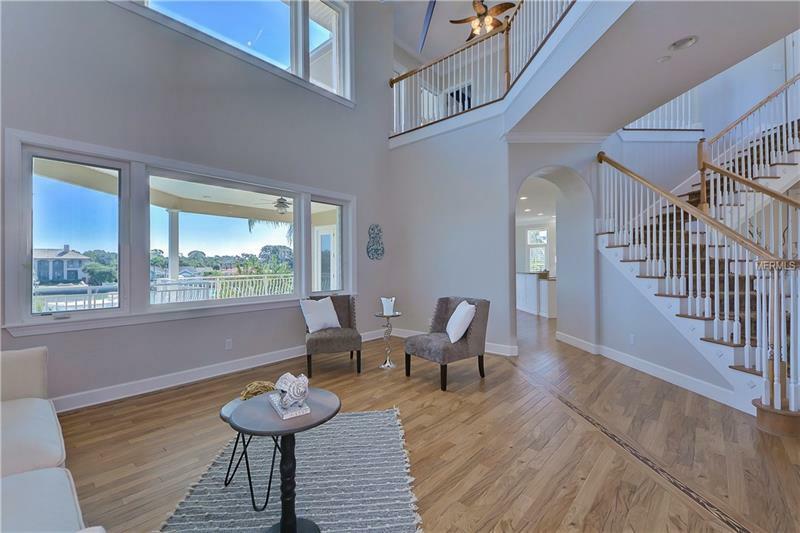 Formal living and dining rooms, office, and family room that is open to the island kitchen and has gas fireplace, Bahamas shutters and 8ft French doors that lead to the veranda. 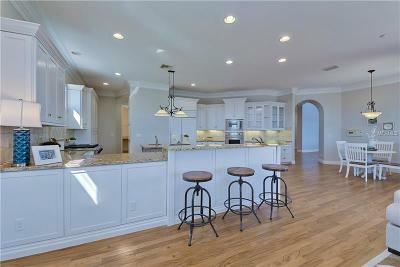 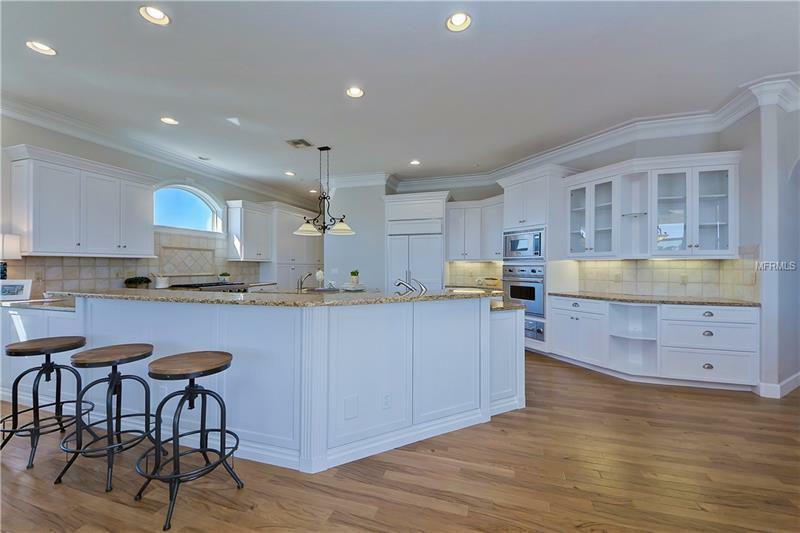 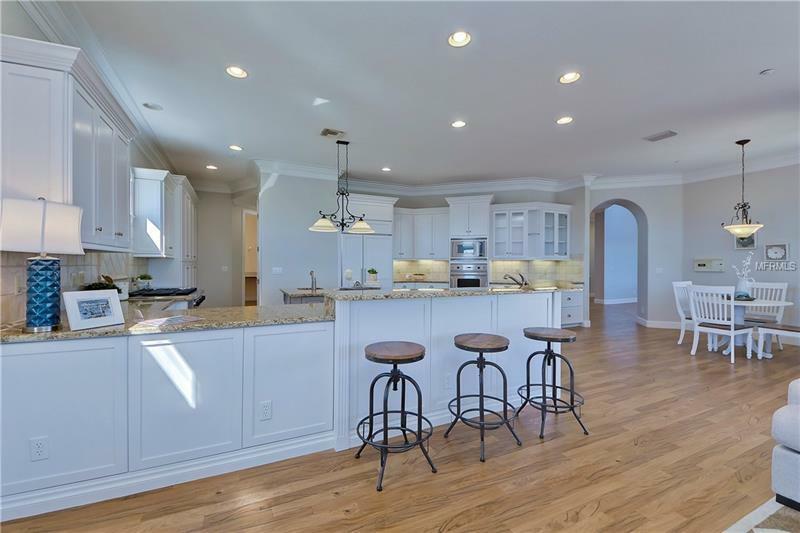 Viking built in oven, microwave, warming drawer, 6 burner gas cook top, Sub Zero refrigerator, granite counters, custom wood cabinetry, island prep sink and under counter wine refrigeration. 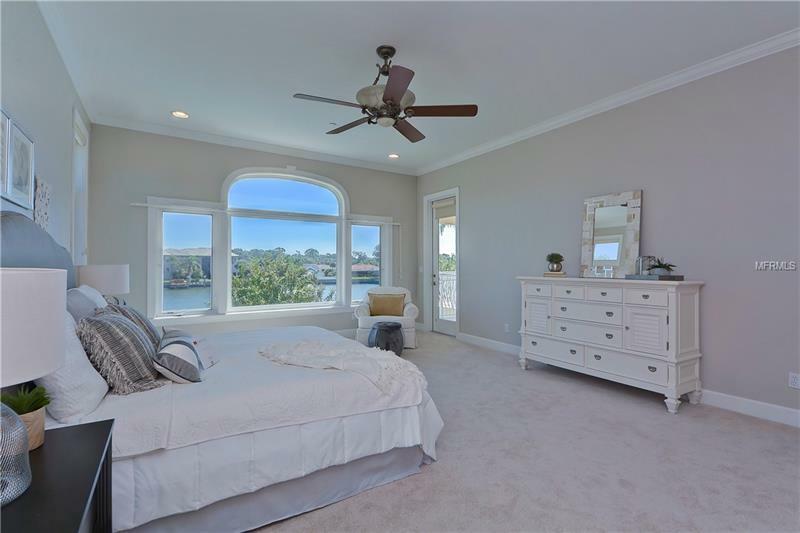 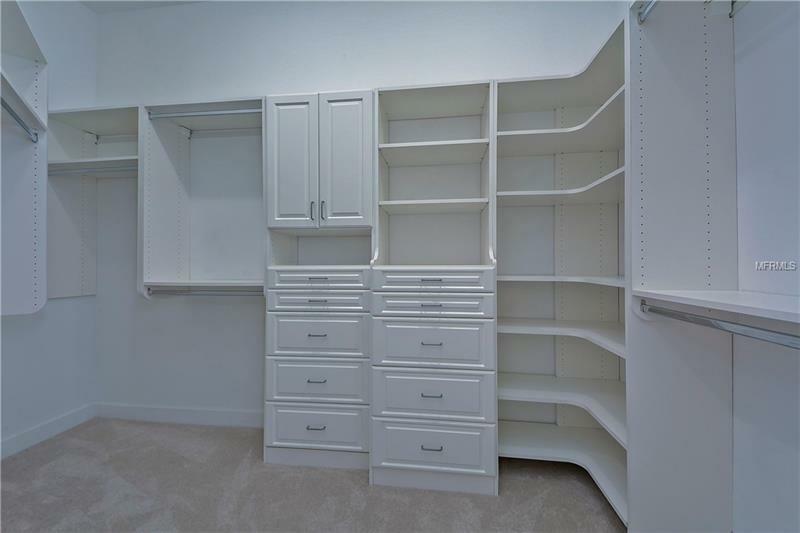 Master Suite has endless water views, his and hers closets. 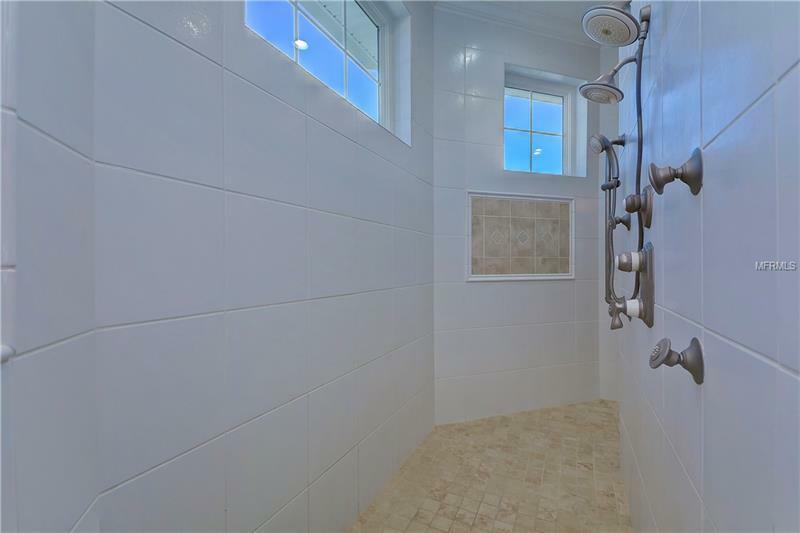 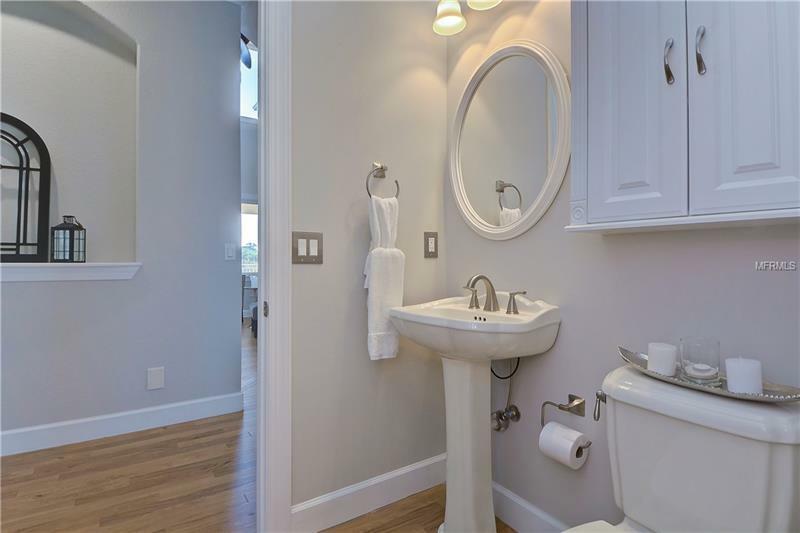 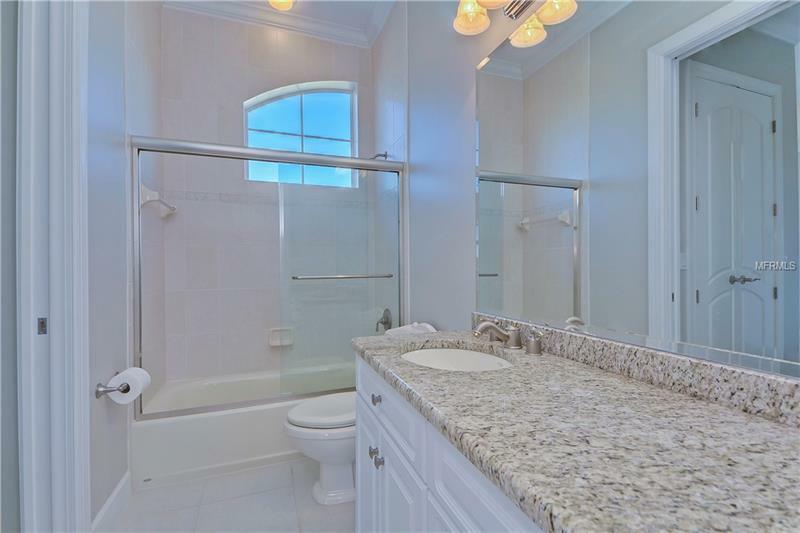 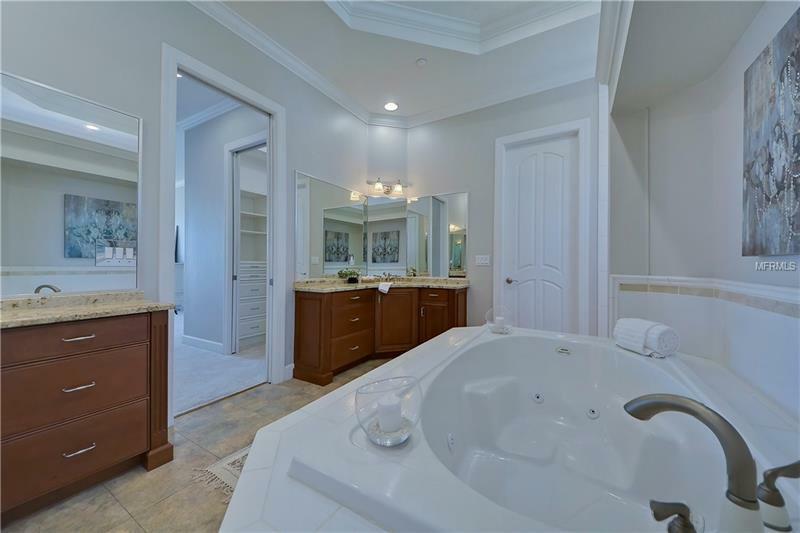 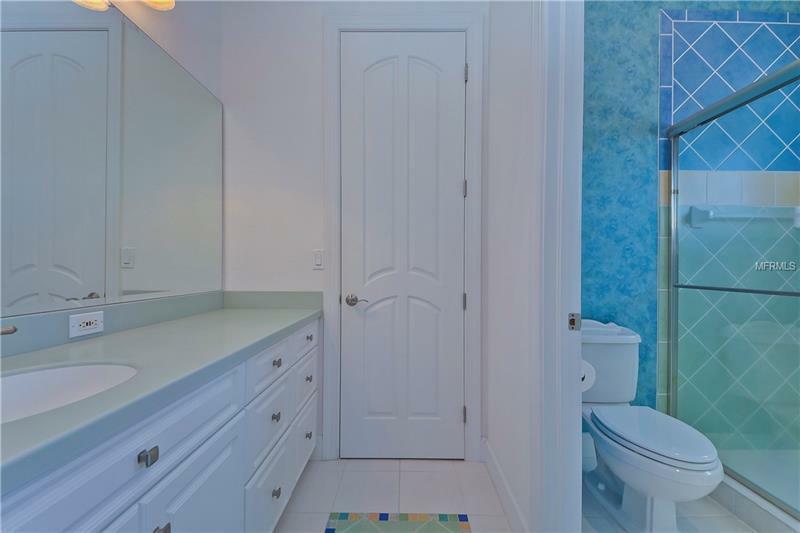 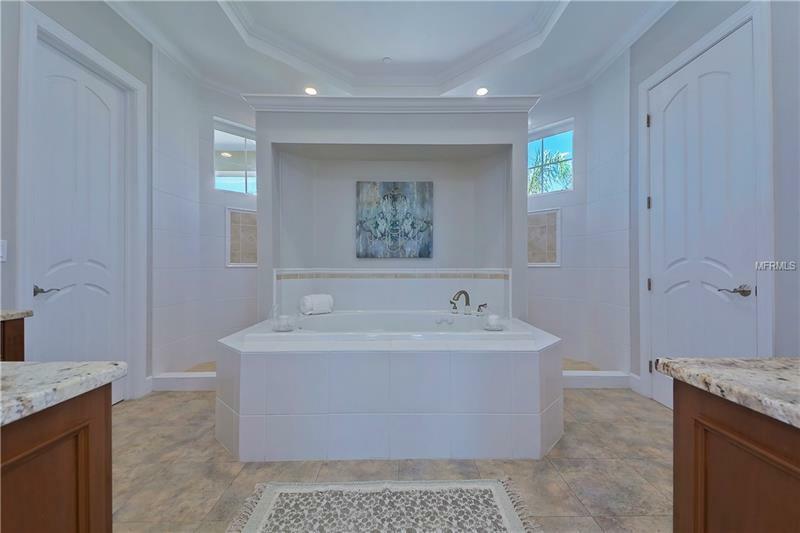 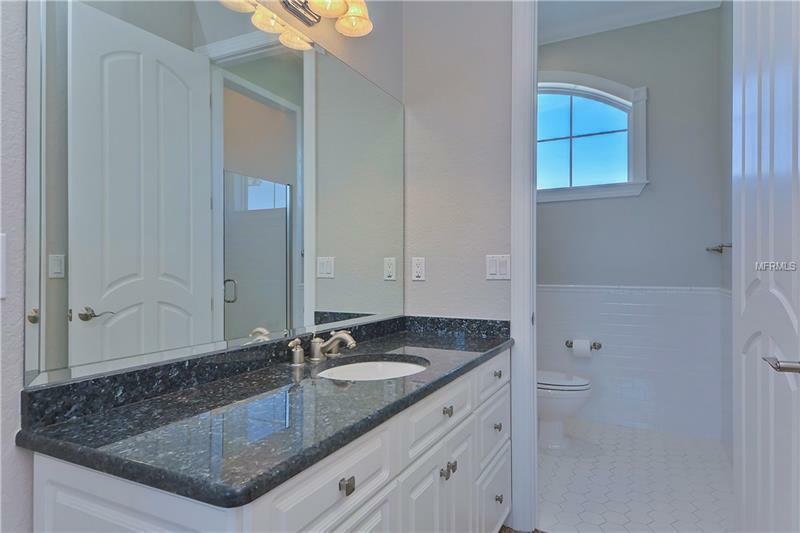 Focal point of the master bath is a luxurious jetted tub, walk around shower, dual sinks, toilet and bidet. 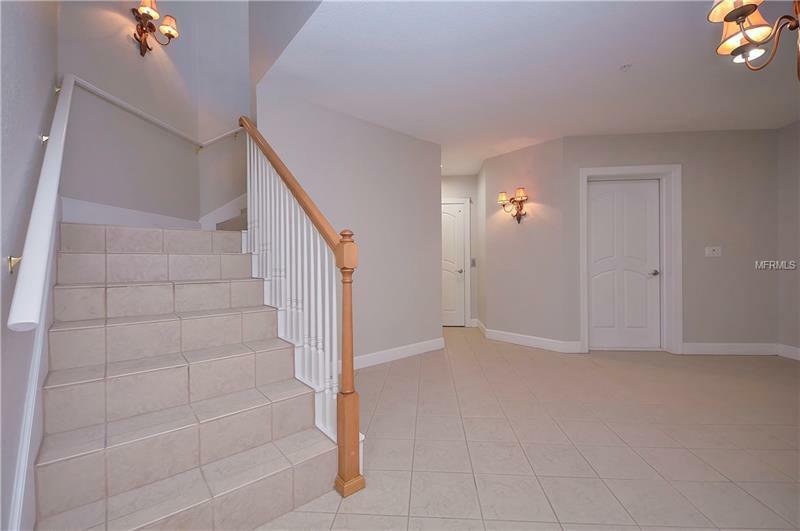 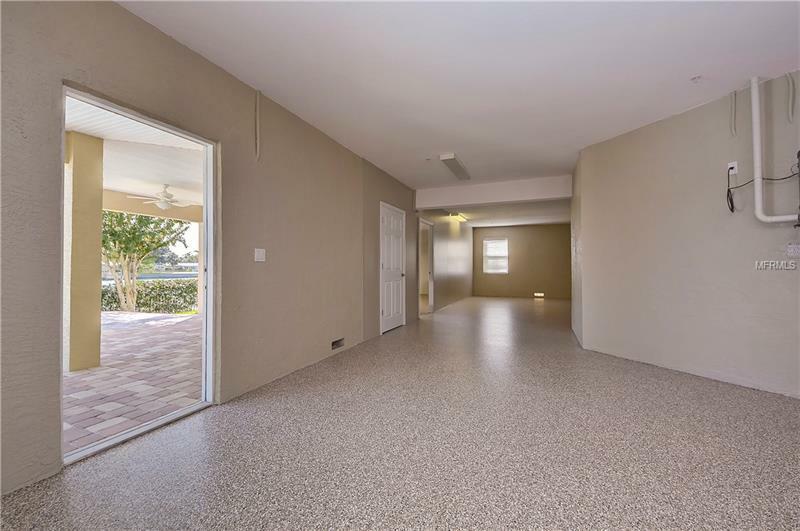 Upstairs you will find a look out deck and sundeck, four bedrooms, loft and game room. 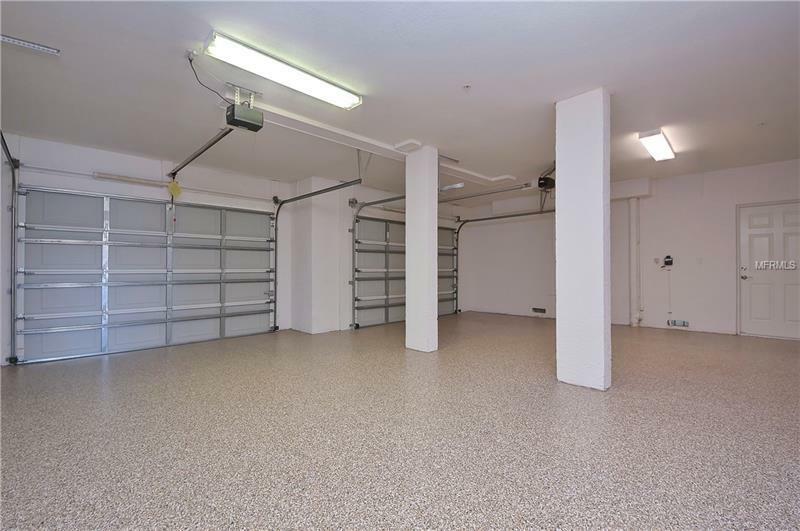 Spacious garage will accommodate 4+ vehicles and features 2400sf polyaspartic flooring and work area. 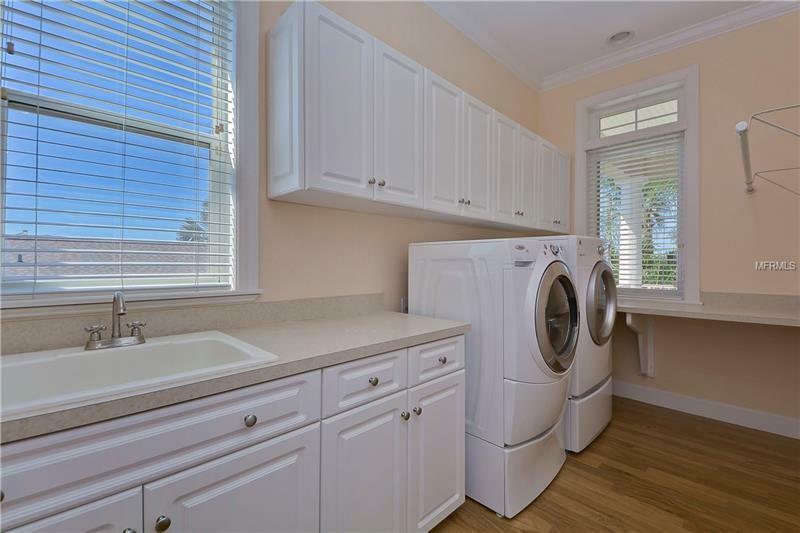 Hardie board concrete siding, 3 Rinnai on demand gas water heaters, 4 A/C units, central vacuum system; 3 stop elevator. 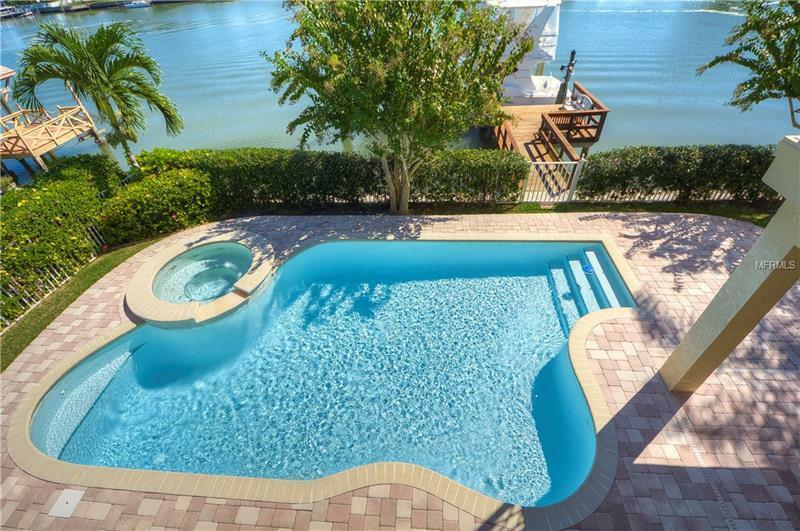 Enjoy outdoor entertaining poolside in a lush tropical setting as you watch dolphins play. Deep water dockage with 2-30 AMP service. 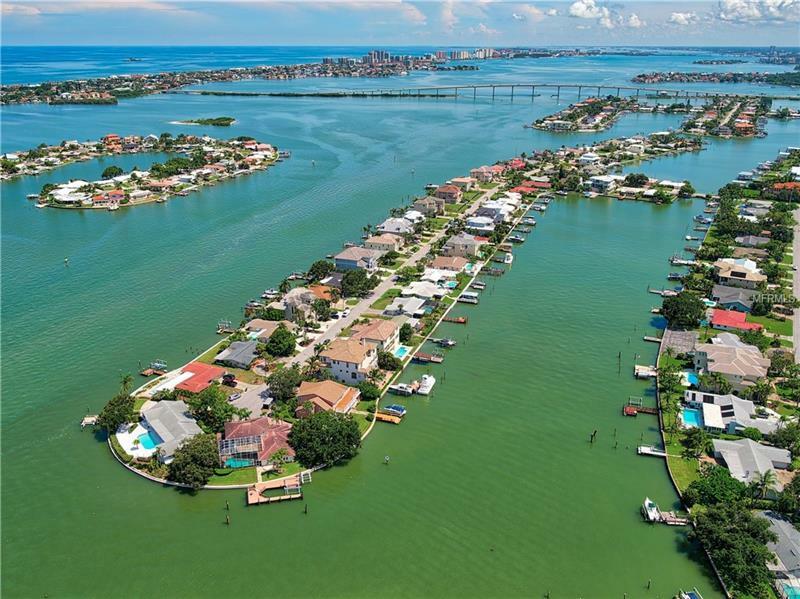 Just minutes to Clearwater Beach. 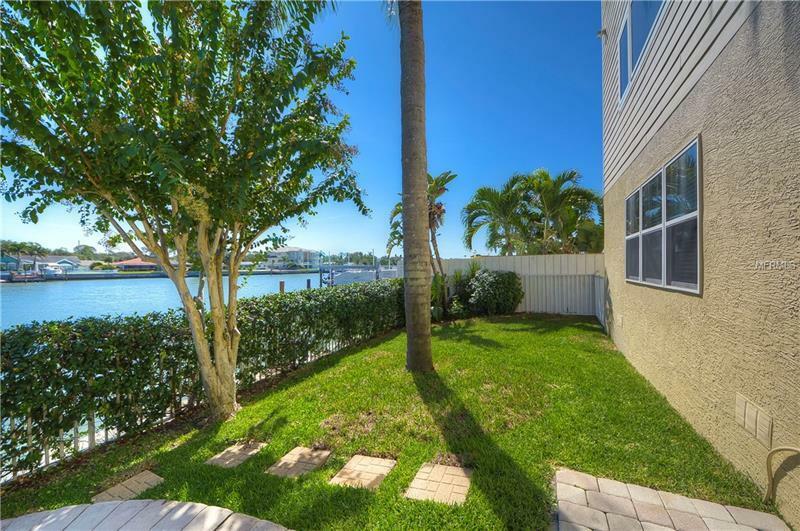 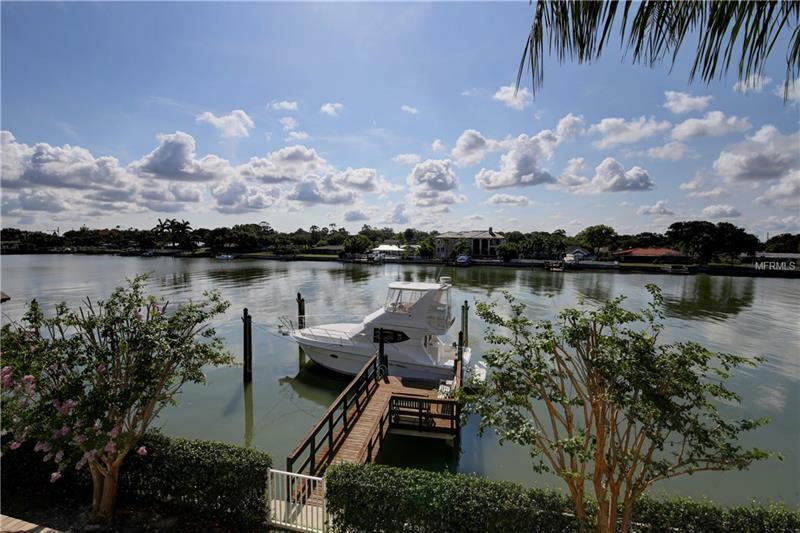 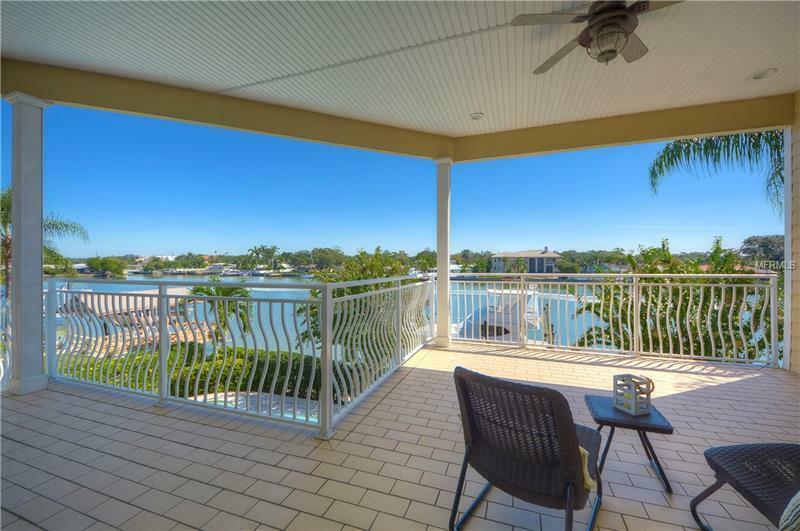 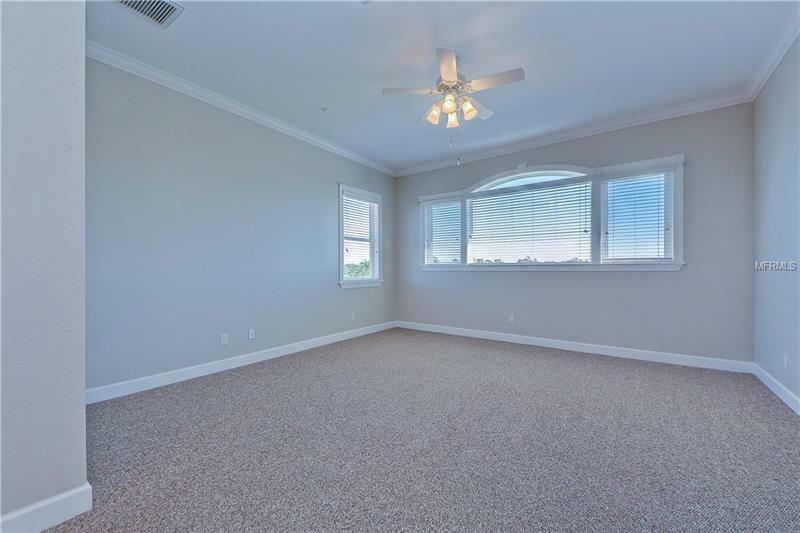 Close to excellent restaurants, doctors, shopping, Belleair County Gulf Club and Clearwater Yacht Club. 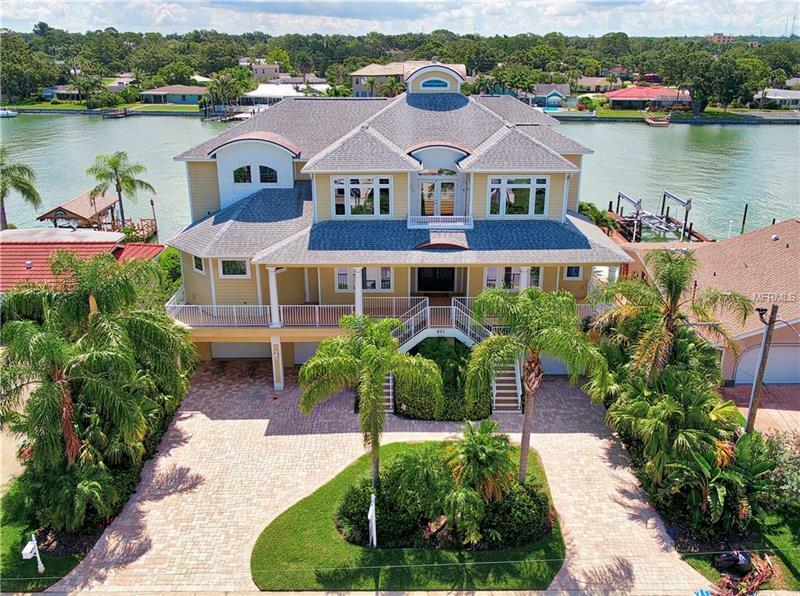 Make Coming Home a Vacation! 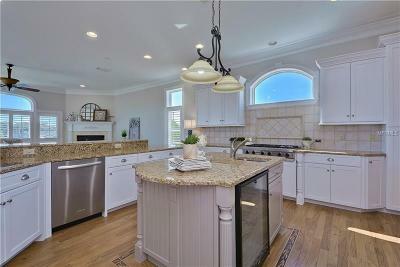 Be sure and see the virtual tour!